Designer and supplier of ceramic & other tiles: Best Tiles, Virginia Mossburg, Designer, 11601 Boiling Brook Pkwy, Rockville, Maryland, 20852 301-984-3399, Email address: vmossburg@besttile.com Virginia Mossburg is a senior design & tile consultant for Best Tile, the Mid-Atlantic's largest & fastest growing importer of ceramic, porcelain, natural stone, mosaics, & glass. Clientele with all budget requirements enjoy working with Virginia for her thorough understanding of interior design & finding the best tile for each type of project. Homeowners, builders, designers, & contractors are happy not only with her deep knowledge & understanding of tile, but also processing & getting in the orders efficiently & correctly. Her experience includes a business trip to Spain where she was responsible for selections & recommending purchasing of 4 new product lines. 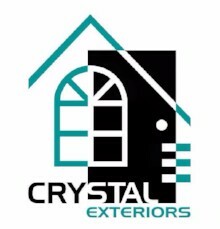 Windows & Doors, Siding & Trim, Roofing & Guttering: Crystal Exteriors LLC has been successfully providing home exterior services to thousands of homeowners in Maryland, Northern Virginia, and the D.C. area. We provide quality professional services and high performance products including high energy efficient materials. We specialize in vinyl and wood replacement windows; fiberglass and steel entry doors; insulated vinyl and James Hardies fiber cement siding; as well as shingle roofing and seamless gutter. Our business is cultivated by word of mouth testimony, not high pressure sales tactics or gimmicks. Our remarkable growth is due to 80% of our business coming directly from referrals. 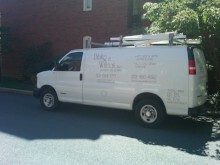 We guarantee our customers a professional service with personal care and respect.